After 2 years, box office King Daniel Padilla made his return to the Big Dome for his sold out concert last Saturday. DJ brought on a night full of kilig and great music as he performed some of his favorite old school hits such as “Don’t You Forget About Me,” “Everybody Wants to Rule the World,” “True,” and many more, giving each song his own personal touch. 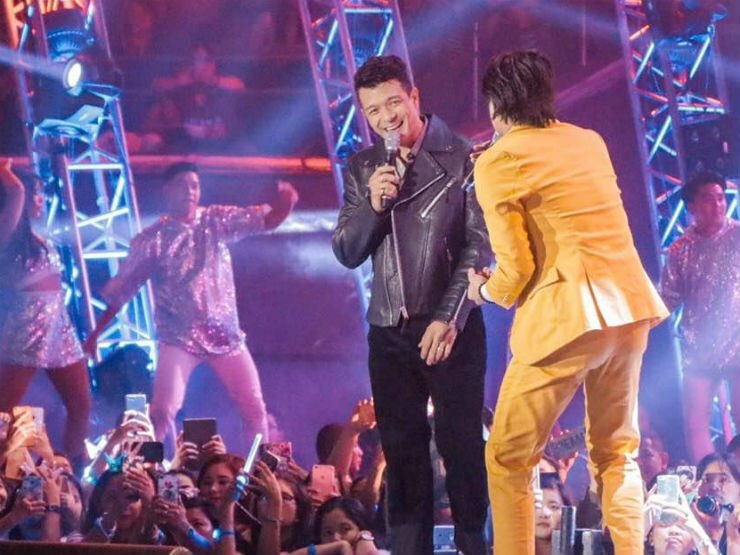 Jericho Rosales and Daniel Padilla perform "Crazy Little Thing Called Love." 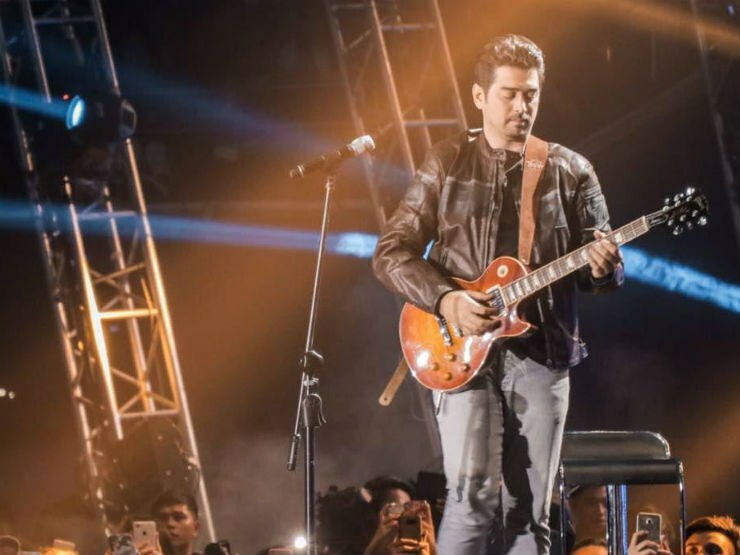 Ian Veneracion performs "Ain't No Sunshine"
Daniel's sisters Magui and Lelay, and baby cousin Jordan, surprise DJ onstage. One of the biggest highlights of the evening was when DJ lovingly sang the Billy Joel classic "Just the Way You Are" to Kathryn, saying “This is really for you, my love.” Touched by his sweet gesture, the actress was moved to tears during his performance. Kath cried.. Believe it or not I cried too while watching.. Oa na kung oa pero I feel their love for each other!! 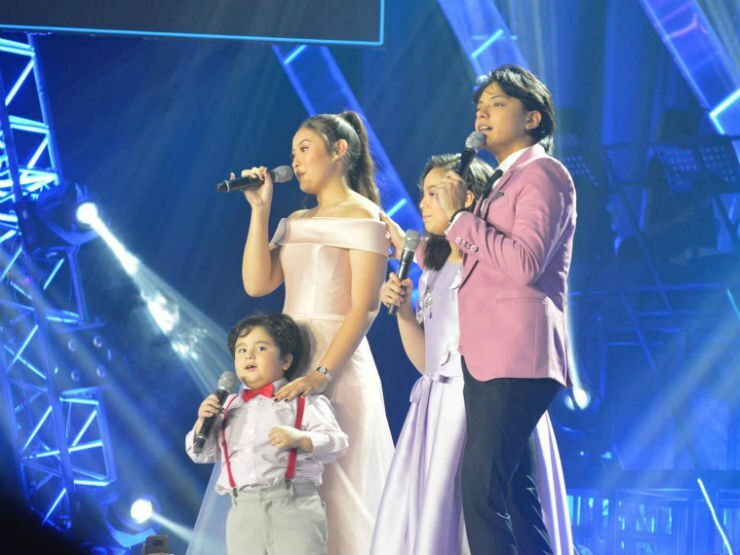 Throughout the night, Daniel took every chance he could get to thank his fans for their unending support, and later left them an inspiring message to respect one another. All love and good vibes! Congratulations, DJ! Were you at the Big Dome last Saturday, too? What was your favorite part of the night? Comment below! LISTEN: The Himig Handog 2018 official entries are out!